Tutti noi godiamo nel vedere la sciata di un pesce in superfice che segue ed attacca la nostra mosca. Le Hitch per la pesca in superficie sono mortali e spesso sono le uniche che funzionano. Già dotate del foro laterale per legare ella maniera corretta il vostro finale. 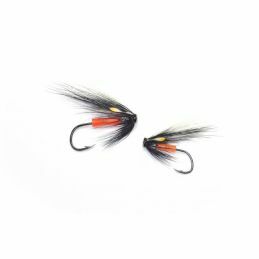 FRODIN - HITCH FLIES Ci sono 4 prodotti. With its translucent behavior, this little fly seems to be extra interesting for the tricky fish. The less they see the more they want it. I normally fish this smaller than the Green Simple Hitch, maybe it’s for me more of a low water summer fly. Anyway, it’s for clear water, and maybe best when it blends in on the “blue river”. A fantastic little fly for clear days on the clear river. Hitched or fished right under the surface this version is excellent. 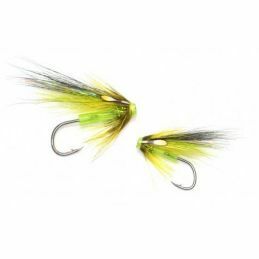 This version is of course influenced by the hitch flies of Iceland. 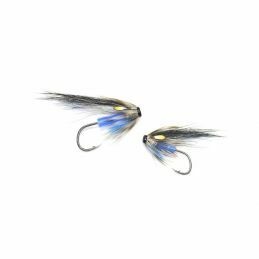 Fish it like them, extremely small, micro hitch, on the clear river and you will be amazed how effective the little fly can be. Maybe the best hitch fly of them all. The thin tapered wing strengthens the impression and make the small V on the surface irresistible. It might be hard to get why, but the orange head seem to make the fly even better. 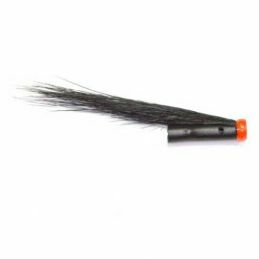 We have taken hundreds of salmon on this little simple fly. I fish them in almost all sizes. Try it and let it make your day too!